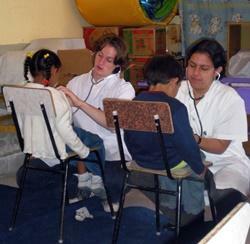 This placement gives you the unique opportunity to observe the medical profession first hand in a developing country. Volunteers will work in Cochabamba and live with a local host family. As a volunteer on the Medicine Short-term Special, you will have the opportunity to observe the doctors as they treat patients at various health centres and hospitals. You will also be provided with some Spanish lessons and medical workshops during your placement. Volunteers will be involved in a variety of tasks, including dental outreach work at an orphanage, and will also travel to a remote village to help treat children and the elderly, as there is no nearby hospital for locals to go to. Here volunteers will be involved in checking vital signs like blood pressures, pulse rates and temperature. On the weekend you’ll travel to Lake Titicaca, visit the Tiwanaku ruins and Sun Island.